College of Medicine Bylaws approved by Board of Regents October 2018. Information for prospective, new and current faculty regarding hiring, benefits & retirement, and promotion & tenure. 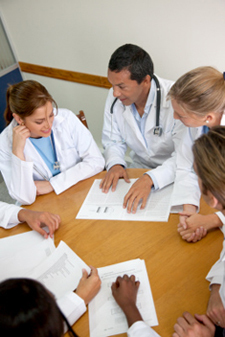 The mission of the Office of Medical Education (OME), part of Academic Affairs, is to promote and advance the educational mission of the College of Medicine through effective and innovative educational programs, quality improvement, and educational research. Links to Faculty and Staff Handbooks as well as the College of Medicine Policies and Procedures. The strategic plan reflects the vision, goals and objectives of the College of Medicine and the actions the College, through its faculty and staff, will take to move the institution forward in pursuit of its overarching goal of excellence in all that we undertake and accomplish. College of Medicine Bylaws approved by Board of Regents, March 2013.